This program was created in close coordination with Makerere University, one of the leading academic institutions in Uganda, and US Embassy Kampala. 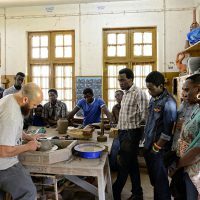 Bey resided in the on-campus guest house as he taught hands-on workshops and conducted campus lectures with students of the Department of Industrial Arts and Applied Design and the School for Fine Art. 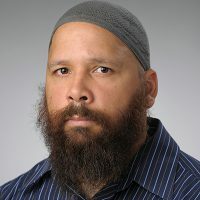 Said Bey, “I was glad I stayed on campus. 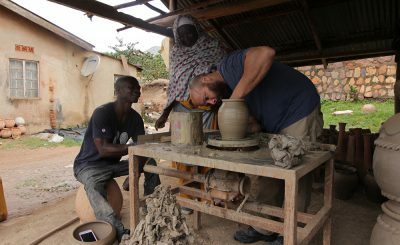 Not only is clay a time sensitive material but during my week there, being close by, I was able to work extensively with students in intimate settings, outside the schedule of work and class hours.” By having this experience with the students, he was able to compare and contrast the different experiences of materials, tools, and processes of producing and firing ceramic wares in academia and in the countryside in Uganda, with their counterparts in the United States, which in the artists’ words was “especially fascinating”. 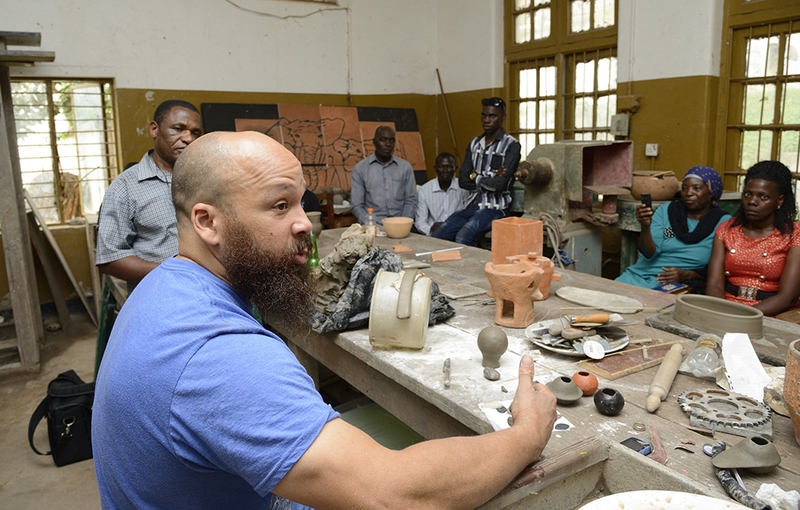 On his last day in Kampala, Bey led a discussion on opportunities for ceramists and the marketing of ceramic art. 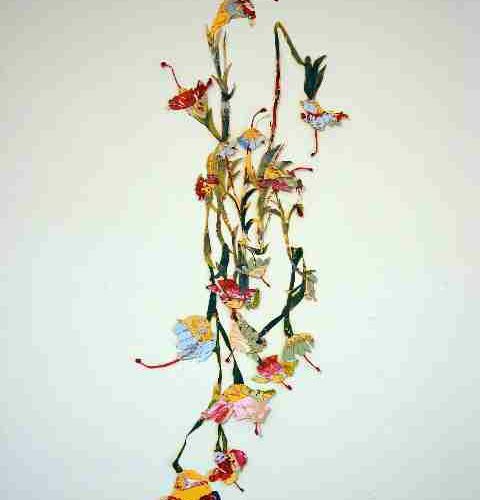 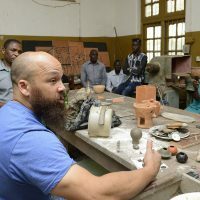 The artist remains in contact with some of the students via social media and is working on establishing a connection between faculty of Makerere University and his home institution of Syracuse University for future programming and research. 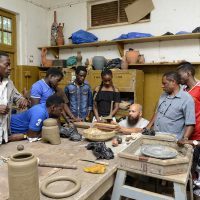 1 Sharif Bey KampalaVisiting artist and professor Sharif Bey conducted multiple workshops with students of all ages and levels at the Margaret Trowell School of Industrial and Fine Art (MTSIFA), Makerere University, in Kampala, Uganda. 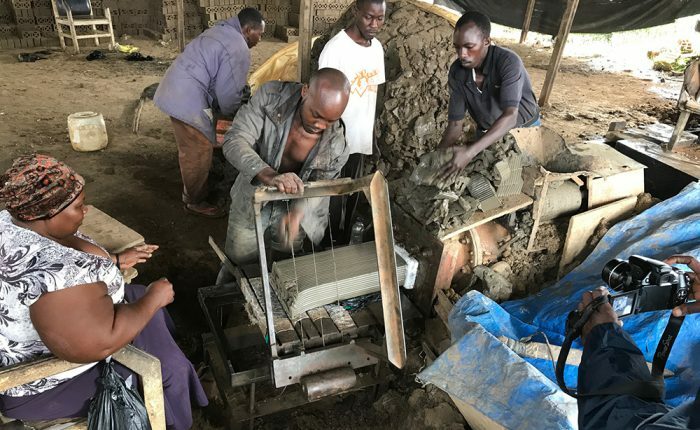 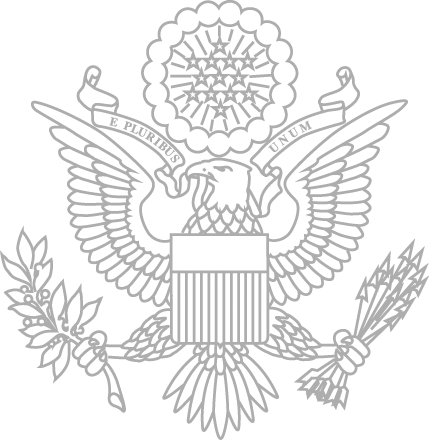 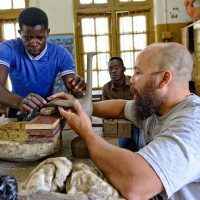 2 Sharif Bey KampalaClasses were held in the ceramics studio of Makerere University, Uganda’s largest and third-oldest institution of higher learning. 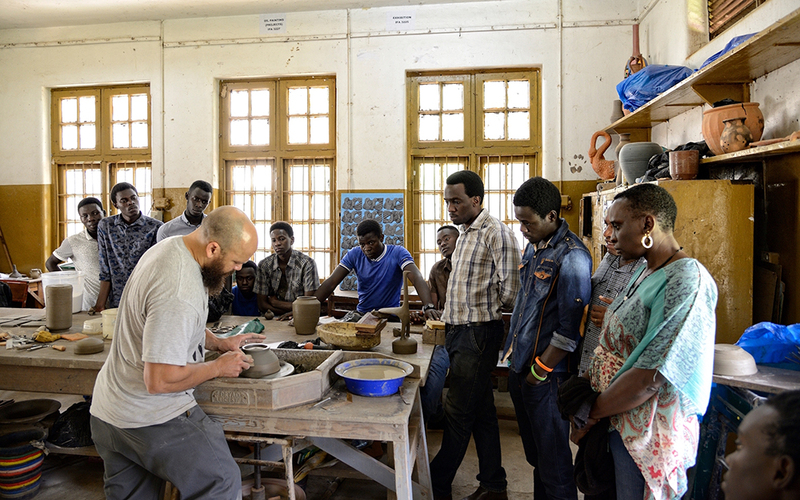 3 Sharif Bey KampalaThe workshops covered a wide range of topics all vital to the craft of ceramics. 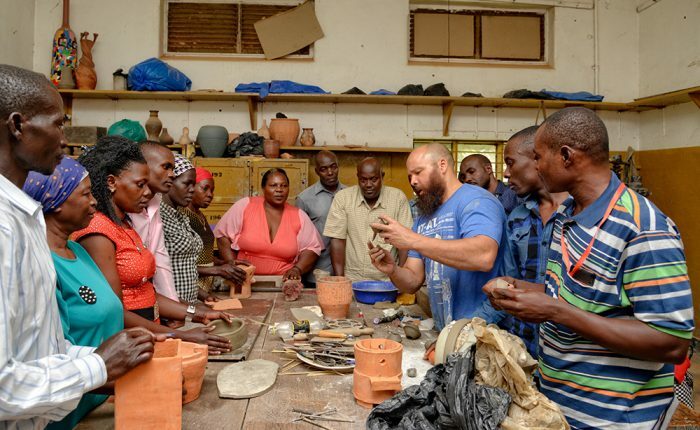 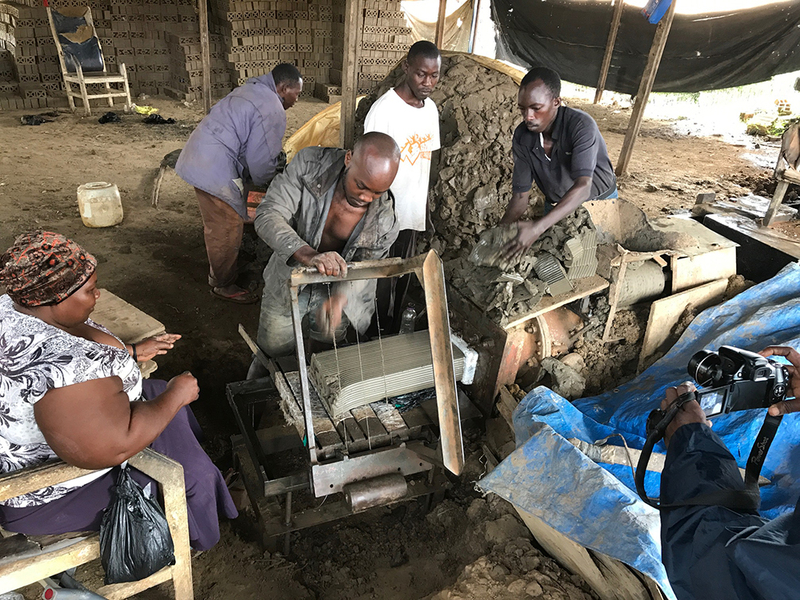 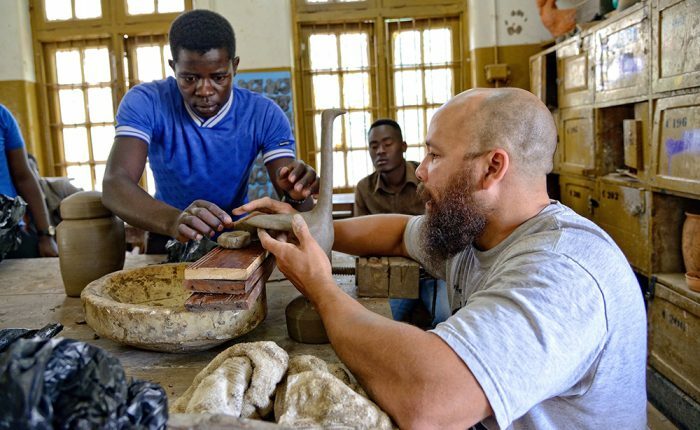 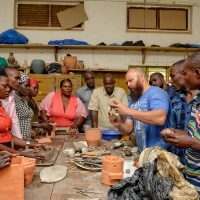 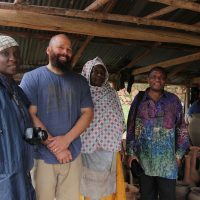 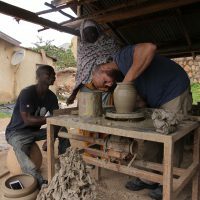 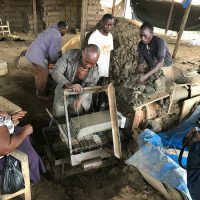 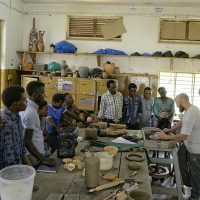 Here, Sharif Bey teaches casting techniques, including tile mold-making, hand-pressing, and dry-pressing. 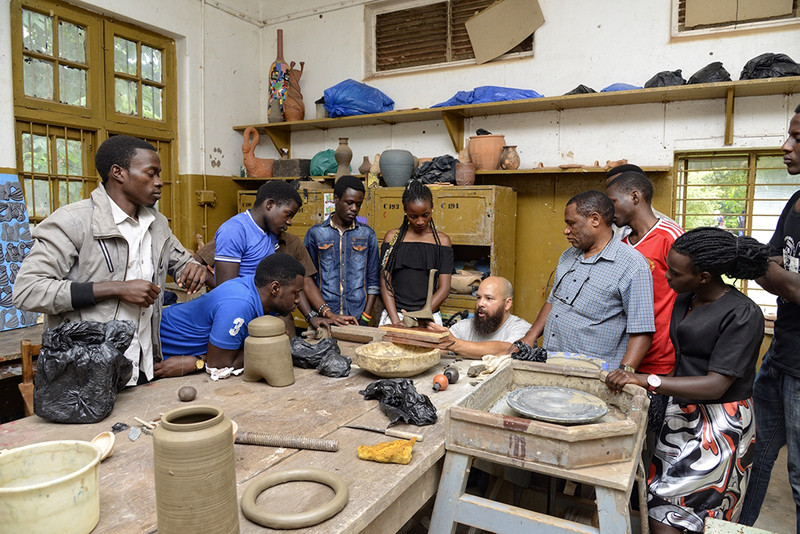 4 Sharif Bey KampalaMakerere students from all over Kampala watch intently as Sharif Bey demonstrates casting techniques. 5 Sharif Bey KampalaThe class sizes allowed Bey to engaged with the group and with students one-on-one in the ceramics studio. 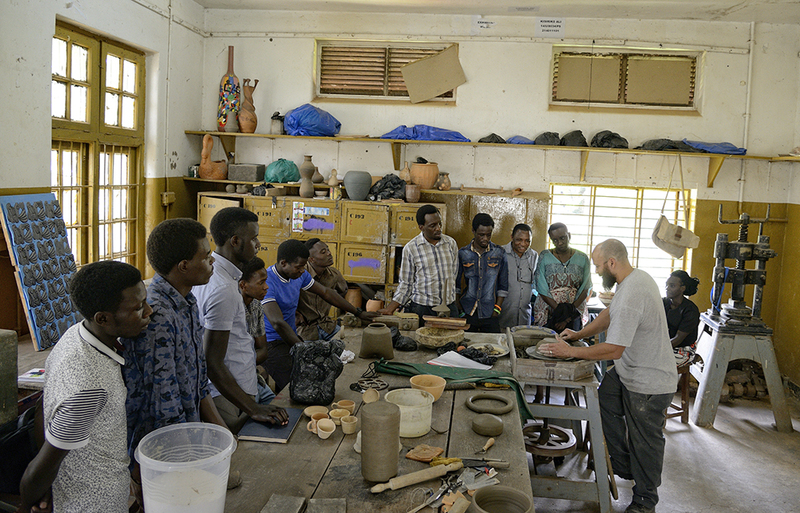 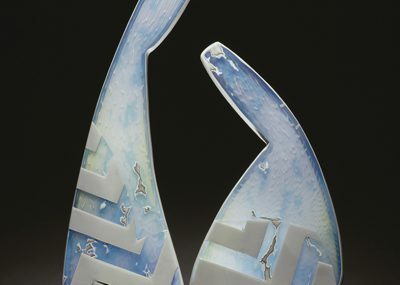 A student himself of East African sculptural techniques, he was able to learn from his classes even as he taught. 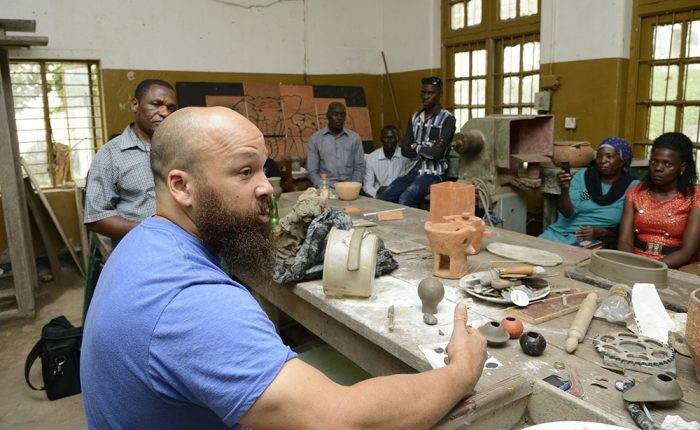 6 Sharif Bey KampalaIn a workshop on decorative techniques in ceramics, Sharif Bey compared and contrasted American and African approaches, teaching several of the skills that he applies in his own work. 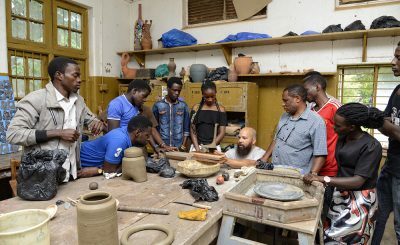 7 Sharif Bey KampalaOver the course of the week, Sharif Bey taught seven three-hour workshops, both at Makerere University and at the studios of local potters. 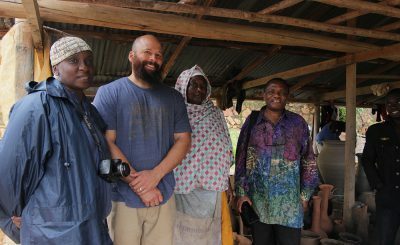 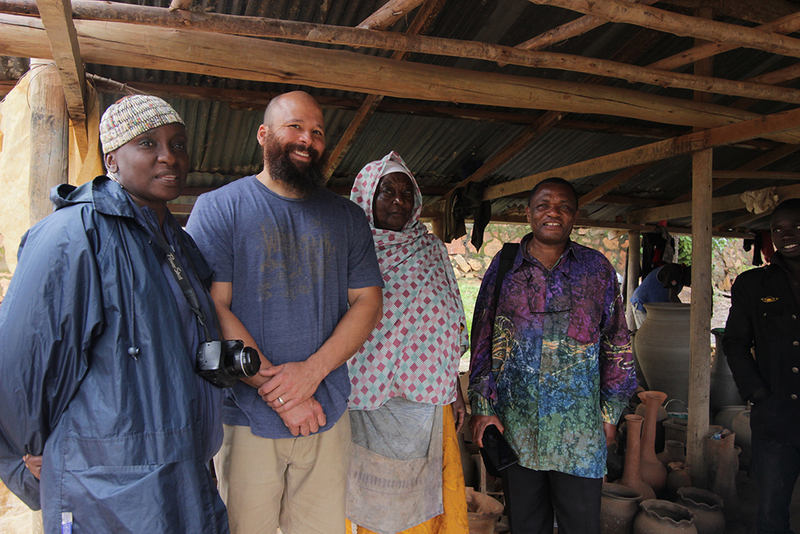 8 Sharif Bey KampalaLocal potters pose with American artist and professor Sharif Bey after a ceramics workshop in their Kampala studio. 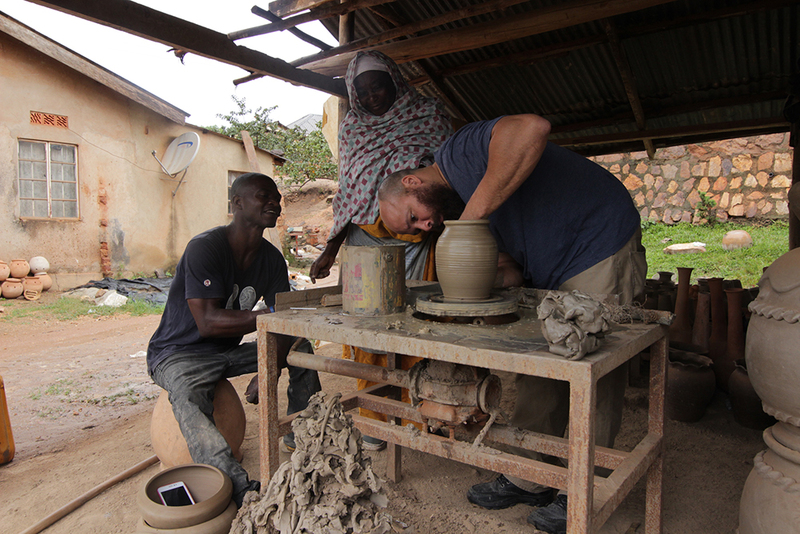 9 Sharif Bey KampalaSharif Bey demonstrates crafting techniques while local potters look on.